Being uneasy all day… I barely slept well on Saturday night and I’m still heavy in my spirit. Why? The cruelty of this generation…my God! As if the days of the slavery were not enough… Need I mention the modern day #Aluu4 lynching… And just recently, the lynching of a 7-year old boy. What exactly is witchcraft to some people? What? 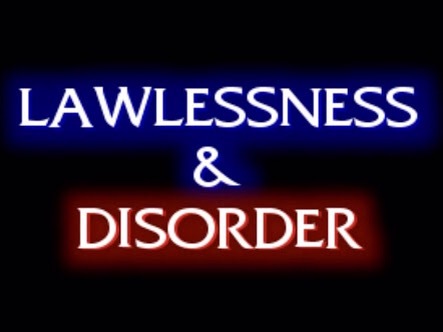 Not to talk about the lawlessness of the mob taking the so-called law into their hands. I have two consolations at this writing moment, for usually I will not write about an escape… But I’m indeed too weary thinking about it. Let’s take the first one; God will surely judge the wicked. There’s some erroneous saying that was viral at some point, ‘only God can judge me (them)‘. It was never alright to me and then I was scrolling through Twitter and it was made plain. It can never be an inspirational statement for you to be comfortable with being judged by the Living God Himself! Who will God judge? Those that go against His commandments and have the effrontery to stay unrepentant. Oh, so to judge a so-called sin, you use another sin to cover it up? Well, if you will not believe God’s Word…then you must be ready to be judged. My second consolation… There remaineth an escape for the people of God from the cruelty of this world. 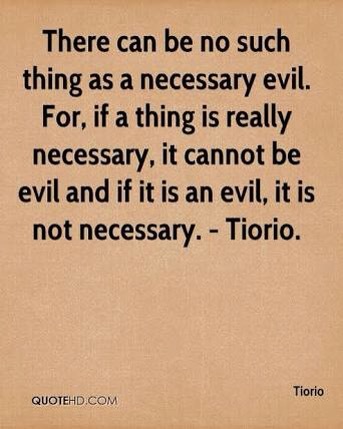 I know there shall be wars and rumours of war… And the gross wickedness of man is never an exception. But glory to God… These days shall be shortened. And it brings me to the realisation… I don’t really know what we are doing here any longer. 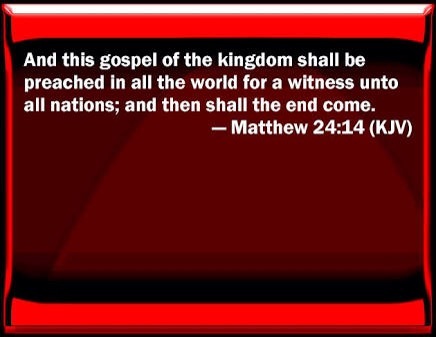 Except the blessedness of the Gospel being preached… There is no other thing happening! It must be time to really come and be going. Yes! Yes! That brings the conclusion of a better escape… An escape that is second to none, no level of writing in all the age can capture it. The escape of SALVATION. And sooner than ever, the escape of the rapture! You need to prepare and pick an escape along your spiritual race… You’re either getting caught up with the Lord in the skies during His coming or facing the tribulation. You need to pick an escape. I pray we pick the rapture. Amen! All of the cruelty we see and worry about, is but nothing when compared to the coming doom over the children of disobedience and those that remain during the destruction of this present world. Did I find an escape via this write-up? Yes I did! Matter of fact, the Escape was given to me by an act done over 2,000 years ago by Him who has promised a rest on every side. His Name is JESUS CHRIST. He has freely given salvation by dying on the Cross and rising up again on the third day. He is that Escape route yesterday, today and forevermore! Run into Jesus Christ today! Wow! I love this piece, very beautifully written and inspiring. God bless you richly. More grace!!! Thank God for the inspiration for this post. It was a sad moment… But God used the situation for His glory. Amen! Console yourself as the first century Christians did…with the knowledge that God is a righteous God who will condemn the wicked and none of them will get away! Think of the world Noah lived in. In Genesis 6, we are told that all men were so wicked that God was sorry He had made man on earth! God bless you for referring to the days of Noah. It’s a replica of these our days according to the Scriptures. God will help us to endure till the end and overcome. It is God’s strength we draw upon and which sustains us. Can you imagine a world where God is completely absent? There would be no goodness of any kind at all! Ahhhh… we can’t imagine world without God. Thank God for Jesus. Thank God! Amen. We shall see Jesus Christ, be like Him and reign with Him. Hell was made for the devil and his angels… not even for human beings (the devil is so evil). But, glory to God…He has overcome for us and has gone to prepare a place for us, that where He is, there we will be also. Amen. Rest in this Steve. Rest. Yes, for those who walk with the Lord, we have a place prepared in heaven for us, and will rest with God forever. This is the hope which brings that peace that passes all understanding. Rest in His promises to be sure! Amen!! Thank you for this extract Steve. God bless you. Amen! Indeed, we are resting on that hope in Christ Jesus our Lord. Christ is the hope and the resurrection! Amen!! And He rose…such blessed assurance. He defeated Satan and death in the resurrection for the entire human race! Amen and Amen!! Wow! This is highly inspirational and spirit lifting! Sometimes I wonder how the days of Noah was and I could more clearly about that dispensation when compare with the present state of humanity. It broke my heart when I read about and saw the lynching and archaic jungle justice mete out to a seven years old boy for whatever reasons. As children we have His assurance of consolation because the truth is this world will become more wild and wickedness will continue to manifest. It is a sad state but to anarchy. We thank God for He has overcome for us through Christ Jesus our Lord. Me too, I wonder how the days of Noah was… but then I see the scripture that says it is like our days and then I just weep inside. It is well. I have been struggling with giving up for the last two months, all kinds of wild thoughts. This strangely enough is the way out. The Lord will arise upon me and His glory will be seen upon me. Don’t give up dear. You are to stand on Christ the solid rock. Thank God for the victory! I will keep decreeing it, halleluyah!